Burke, John. High Priests and Moolahs of Kaubul. 1879. Courtesy of the British Library Board, London. Dupree, Nancy. A Sign for a Mosque and Madrassah by Saudis. Dupree Collection, Williams Afghan Media Project, Williams College, Williamstown, MA. G-00190-01. AMRC Collection, Williams Afghan Media Project, Williams College, Williamstown, MA. H-00211-14. AMRC Collection, Williams Afghan Media Project, Williams College, Williamstown, MA. ISAF, and 55th Combat Camera. "090920-A-2794B-004." Digital image. Isafmedia's Flickr Photostream. Accessed September 4, 2010. http://www.flickr.com/photos/isafmedia/4031004291/. ISAF, and Tech. Sgt. Brian Boisvert. "091027-F-2703B-014." Digital image. Isafmedia's Flickr Photostream. Accessed September 4, 2010. http://www.flickr.com/photos/isafmedia/4057143999/. Mahwash. "Taghafol Tchi Khejlat (The Ashamed Conscience)." In Radio Kaboul. Accords Croisés, 2003, CD. Rattray, Lieutenant James. Mosque and Tomb of the Emperor Soolta Mahmood of Ghuznee. 1848. Courtesy of the British Library Board, London. Sl-02184. AMRC Collection, Williams Afghan Media Project, Williams College, Williamstown, MA. Sl-04739. AMRC Collection, Williams Afghan Media Project, Williams College, Williamstown, MA. Islam in Afghanistan is deeply connected to power. But there are different types of power. 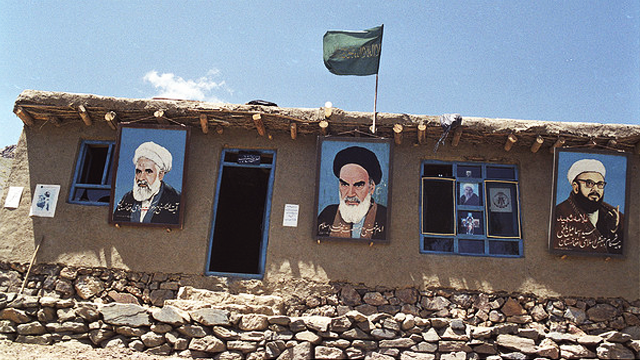 Religious leaders have not often become political leaders—that is, until the Taliban. Afghans are connected to their past primarily through stories. It’s very much a story-telling culture. People, when they talked about great Islamic figures of the past, they told me about them by telling me about the miracles that they performed in the past. Those miracles themselves were interesting because within those stories you found the kinds of power that was associated with Islam, and all of that potency and power ultimately derived from God and from an understanding of God’s role and his status as creator, and the ultimate source of all power in the universe. And these individuals were viewed as founts of that power, or vehicles of that power, expressions of that power. In more modern times in Afghanistan, people who are knowledgeable about Islam and who were trained in madrasas claim some authority. In some cases the people who have that background have very little authority, and are little more than prayer leaders in a village. In other cases, those people have considerable status and considerable prestige because of their learning. And people will go to them for advice, and in the case of disputes they are consulted. Until recently in Afghanistan, religious leaders were not thought of as potential leaders of the country. Even, for example, during the Second Anglo-Afghan War, when there wasn’t a sitting king in Kabul, and the British were essentially forced out; and there was a period of time when the tribes controlled Kabul. And it was never considered that one of their religious leaders who was leading the revolt or the uprising against the British, it was never conceived that one of these religious figures would become King of Afghanistan. So religious figures in Afghanistan have tended to be kingmakers, rather than kings. The line between religious power and political power began to blur in the 1980s. From the refugee community in Pakistan, Islam emerged as a powerful organizing force to unite opposition against the Soviets. When I arrived in Peshawar, all of the political parties that existed were Islamic, and all the talk was about jihad, about this Islamic resistance and about the role of Islam. Mosques and madrasas, or Islamic schools, were the main public institutions in every refugee camp. It was clear that Islam had become the single most important political idiom that was organizing people and rationalizing what they were doing, and providing the glue for this resistance against the Soviets and the Marxist government in Afghanistan. The melding of religion and politics created a strong united front against the Soviet invasion. But it also created something else—a new generation of men who equated the power of Islam with political authority: the Taliban.